NEW DELHI: India captain Virat Kohli said yesterday he was “very very happy” after becoming the first-ever player to clinch all three top honours, including cricketer of the year, in the International Cricket Council awards. Kohli, who recently led India to their maiden Test and one-day series triumph in Australia, was also voted the Test and ODI men’s player of the year as the cricket’s world governing body announced its annual honours, chosen by former players and veteran journalists. “It feels amazing. 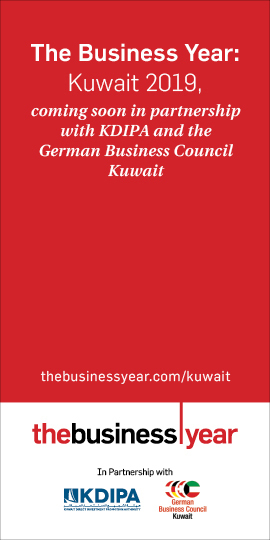 It’s a reward for all the hard work that you do throughout the calendar year. I feel really grateful and very, very happy with the team doing well at the same time myself performing,” Kohli said in a statement. “Having recognition at the global level from the ICC is something you feel proud of as a cricketer because you understand that there are many players playing the game.” The 30-year-old Kohli, who is married to Bollywood actress Anushka Sharma, has reached superstar status in cricket-mad India, after first coming into the limelight when he led the South Asian nation to victory in the 2008 Under-19 World Cup. He was the top Test and ODI batsman in 2018, scoring 1,322 Test runs at an average of 55.08 — including five centuries-and 1,202 runs at 133.55 in ODIs, with six centuries. He also scored 211 runs in 10 Twenty20 matches. Kohli was picked to skipper the ICC Test and ODI teams of the year for the second year running. 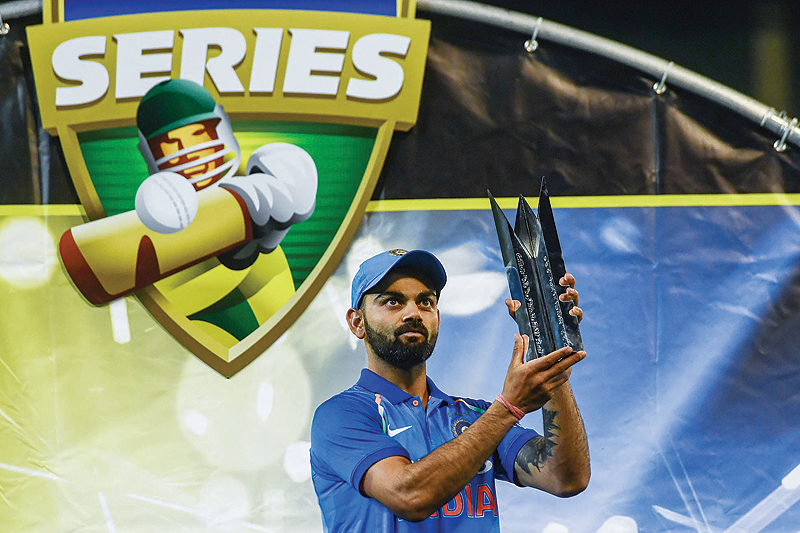 Kohli became only the second player after Australian great Ricky Ponting to retain the prestigious Sir Garfield Sobers Trophy-given to the cricketer of the year. He was the unanimous choice for the award, with South African fast bowler Kagiso Rabada coming second in both the cricketer of the year category and the Test player of the year. “This is well deserved recognition for an extraordinary talent,” ICC chief executive David Richardson said of Kohli. “His regard for the game and particularly for Test cricket is also recognised and appreciated. He is passionate in his support of the longest form of the game and its continued importance.” Australia opener Aaron Finch won the T20 performance of the year award for the second time for his 172 — the highest-ever individual T20 score-against Zimbabwe in Harare last July. India’s Rishabh Pant was named emerging player of the year, while Scotland batsman Callum MacLeod took home the associate cricketer of the year trophy. The 21-year-old Pant became the first Indian wicketkeeper to score a Test century in England, and equalled the record for the most catches taken in a Test, with 11 in Adelaide in December. Meanwhile, the selectors who chose the Indian cricketers to tour Australia recently have been awarded almost $30,000 each as a bonus for picking the history-making squad. 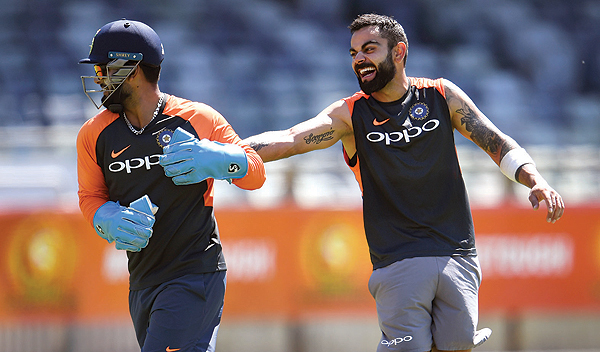 India clinched their first Test series in Australia in 71 years before claiming another historic first with a 2-1 win in the one-day internationals. The Twenty20 series ended in a draw. The Board of Control for Cricket in India awarded the players and coaches cash bonuses after the historic win, but followed up with a two million rupee ($28,000) reward for each selector. 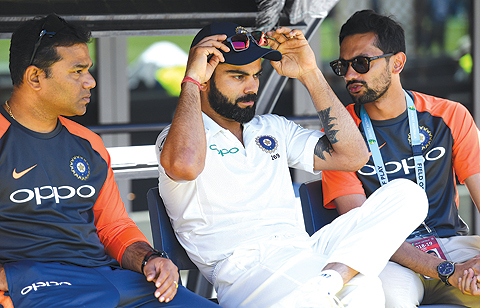 “The five men have played a crucial role in picking a balanced Indian squad and offering the team management enough options to work around different combinations,” Indian cricket administrator Vinod Rai said in a statement. “The boys chosen to represent the Indian team went about their task in a fearless manner and stood up in challenging situations.” Former women’s captain, and Indian cricket administrator Diana Edulji, also praised the selectors.